Roll out dough into a 15x10 inch rectangle. 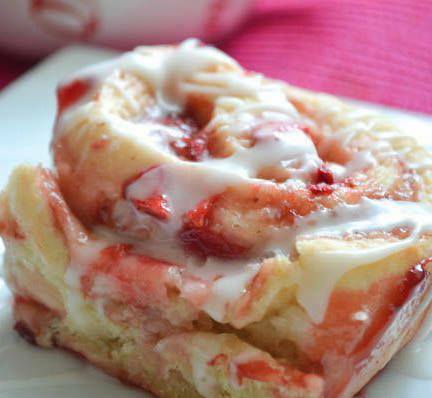 Spread the strawberry jam all over the dough. Sprinkle with cinnamon. Then evenly cover with the chopped strawberries. Place rolls cut side up in a greased 11x13 baking dish. Cover and let rise until doubled (30 mins). While waiting preheat oven to 375 degrees F. Bake in the preheated oven for 30 minutes or until golden brown.